Happy summer to all our friends! Let’s celebrate the summer warmth with soft and radiant skin. 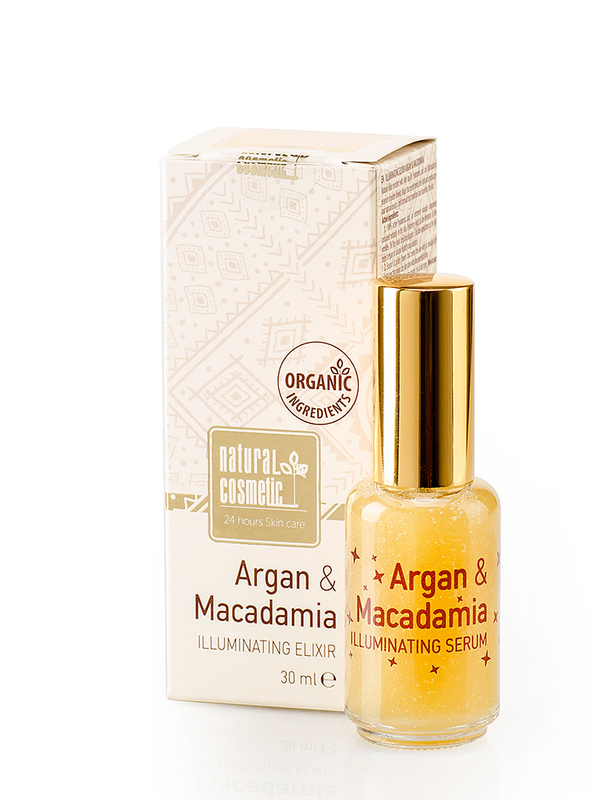 We present you this amazing new product we have created specially for you : The illuminating elixir “Argan&Macadamia”. It’s a gentle mixture of science and nature that will make your skin shine. Suitable for daily use and to mix with your daily makeup routine. It will add a boost to the color and immediately will acts against the fine expression lines with the power of the amazing bouquet of ingredients. The Natural Elixir is enriched with high quality Hyaluronic acid and illuminating essence of golden flowers. Magic that gently bends the light and emphasizes your natural beauty. Light formula that smoothes and nourishes the skin. Active Ingredients: 1. 100% active hyaluronic acid, an extremely valuable component contained naturally in the skin. Deficiency leads to the formation of fine wrinkles. The face looks tired and sluggish. A further application on the skin helps it regain its natural elasticity and radiance. 2. Essence of golden flowers that covers the skin with an invisible anti oxidant layer that makes the skin glow with fine porcelain shine. Luxury solution for daily care for every season. For all skin types.